In 1918 young Zacharias Nielsen boards a ship in Copenhagen to join the Red Guards in the Finnish Civil War.Encouraged by an idolised teacher with communist leanings, he follows the call for help from his Nordic Comrades, despite his privileged background. His best friend, Ansgar, has opposing political ideals to Zacharias but, for his own personal reasons, finds himself soon stuck in the Scandinavian North with Zacharias and Raisa, a Finnish nurse who helps them in their new life. Through the years that follow the brotherly war the trio see the political landscape in Finland and Europe change as Communists and Fascists try to make their mark and attempt to change the world order. Our heroes must find their own personal and ideological place in these turbulent times as friendship, honour, idealism and love triangles bring out some personal truths. The book spans almost thirty years of history and the various Finnish conflicts: Civil War, Winter War, Continuation War and the Lapland War. Watch the political and personal self discovery of characters in search of their own revolution. "Amazing detail about the times and the pitfalls of blindly following any ideology". "He writes with great passion and authority...This takes you to another place and time but feels familiar and comfy. A book that is not easy to put down once you have started. There is so much heart that I was caught up with emotion as I read with great vigor and interest. This story is filled with lies, deceit, and big drama. The suspense had me holding on, quickening my pace, reading is a fury! Loved the mystery that was In Search of A Revolution! "Just imagine what the world will be like in a few years if we succeed? There won’t be any class differences and no divide between rich and poor. You’ll look at a man and you won’t have to worry how to address him and how to pay him the respect that society demands for his status. Everyone will get respect and address in the same fair manner, nobody will have more than their neighbour and there won’t be any more need for crimes. Nobody will look down on a farmer like you. How is that not worth fighting for? Christoph Fischer was born in Germany, near the Austrian border, as the son of a Sudeten-German father and a Bavarian mother. Not a full local in the eyes and ears of his peers he developed an ambiguous sense of belonging and home in Bavaria. He moved to Hamburg in pursuit of his studies and to lead a life of literary indulgence. After a few years he moved on to the UK where he now lives in a small hamlet, not far from Bath. He and his partner have three Labradoodles to complete their family. Christoph worked for the British Film Institute, in Libraries, Museums and for an airline. ‘The Luck of The Weissensteiners’ was published in November 2012; 'Sebastian' in May 2013 and The Black Eagle Inn in October 2013. "Time To Let Go" , his first contemporary work was published in May 2014, and “Conditions” in October 2014. His medical thriller "The Healer" was released in January 2015. 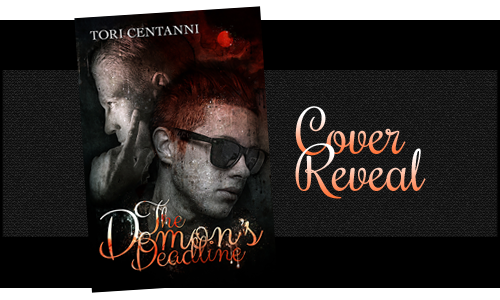 Today we're excited to reveal the cover and share a teaser for The Demon's Deadline by Tori Centanni. This is a paranormal young adult novel for ages 14+. It releases April 2nd from OddRocket. Nicki almost died in the car accident. Instead she was offered a deal. Now she works for the demon Azmos, delivering his mysterious envelopes all over town. Only her boyfriend Cam knows the truth about her after-school job—Cam, who’s (thankfully) as understanding as he is gorgeous and smart. Nicki’s never had Cam’s bold ambitions; her only talent is guessing the killer in a horror movie. 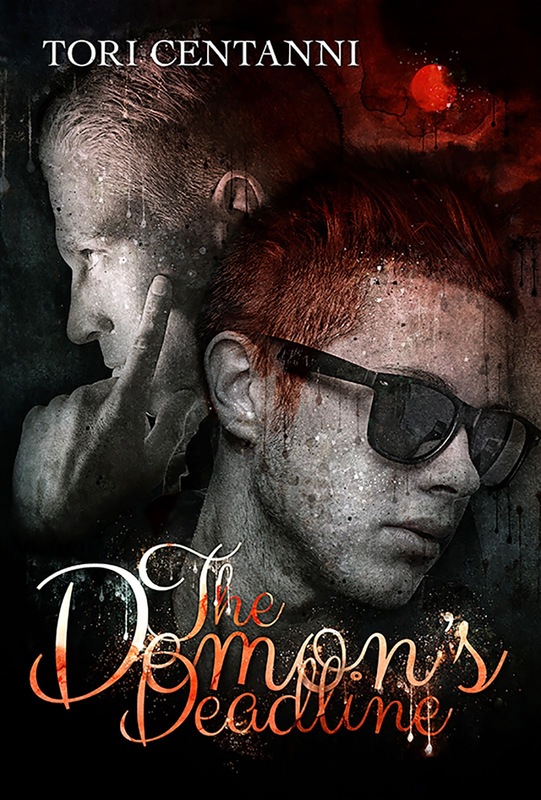 All she wants is to graduate high school, marry Cam someday, and live happily ever after… but lately her work for the demon’s pulling her into deeper danger. Danger that threatens her life and also the bonds that matter most to her. Her best friend Melissa, whom she’s forced to lie to. Her grieving father. And Cam. But is it even possible to free herself from the contract that saved her life? And what if she did manage to untangle herself from the arcane world forever — without it, what kind of life does Nicki have left? Once you've seen death and darkness, once you know that magic is real, how can you ever go back to being a normal teenager? Add to your Goodreads shelf | Preorder from Amazon for the special preorder price of .99 cents! “You’re late,” the voice says, and the gate buzzes. I don’t question my luck, just open the gate and walk through to the lobby door, which also buzzes open for me. I don’t know whom Heather is expecting, and I don’t care if it makes this errand easier. I knock on the door to 8D. A voice inside calls for me to come in. I twist the knob and push the door open, taking a step inside. Suddenly, water gushes down from overhead, cascading over me. I put my hands up like I can stop the ice-cold liquid. It soaks my hair and my clothes. Drenched and stunned, I push back my wet bangs and wipe at my eyes until I can see again. I shiver, from both cold and shock, as water drips down my neck and into my jacket. My heart hammers in my chest and I take quick breaths to regain my bearings. A blue plastic bucket has fallen onto the wood floor in front of me. Someone dumped water on me. Why would anyone do that? A young woman stands just inside the apartment, watching me. She wears black vinyl and ripped fishnets and her short hair is black with purple streaks. She walks toward me, holding a cylindrical package of salt with the top cut off. “What the he—” I start. She thrusts the container forward. White salt flies out. I close my eyes, flinch back. It sticks to my wet hair, skin, and clothes and gets into my mouth. I cough and keep my eyes shut, afraid to get salt in them. “Damn,” the woman hisses. I hear the sounds of fumbling, a drawer opening and closing. Behind me, I hear the door click shut. Then there’s more fumbling and the sound of metal scrapes against a counter. A gun? Panic washes over me, then turns to fury. “What’s wrong with you?” I demand. The voice mutters about how difficult it is to get holy water. I use the lining of my coat to wipe my face so I can see again and slowly blink my eyes open. My hair drips onto my shoulders and the puddle spreads out around me on the hardwood floor. My legs and boots are soggy and coated in white specks of salt. I stare at Heather—this has to be Heather Bancroft. She glares back like she might be able to make my head explode if she concentrates hard enough. “Because I’m not the Wicked Witch of the West,” I say. I try to brush the salt off my leggings and skirt, but it sticks to my palms. I look at the door, which has clicked shut behind me, and then back at her. Her eyes are wild and shift erratically. “Are you a demon?” she asks. “No,” I say, surprised at the question. Tori Centanni is a nerd girl and a recovering goth. She likes dark, quirky stories with elements of humor. When not reading or writing, she can be found baking, watching too much television, and wrangling cats. She lives in Seattle, WA. Squishy face is a little girl in a big world, which often frightens her. Luckily, she has Big Mama to guide her and show her the way. In this book, Big Mama teaches little Squishy Face about the moon. The author has noted that our first teachers are our parents. I agree whole heartedly. I LOVE this, and I think that this book serves as a good starting point for discussions about the moon, and a bit about overcoming fears. When Squishy Face is afraid of the moon, her mom takes the opportunity to tell her a story. At this point, it could have gone into a fantasy fable about the moon. I was pleasantly surprised when the story went the scientific route. Good information is presented in an approachable and easy to understand manner. And I have to say, the dedication at front is heartwarming. I think we all have a squishy face to love, teach, and reassure. With all these positives, there were a few negatives I need to point out. The illustrations were a bit amateur and some of the prose seemed forced. I also felt this this would lean more towards a teaching book than a bedtime story. Jennifer Oneal Gunn Was Born January 2, 1979 In Carthage, Missouri, To Parents Who Would End Up The Parents Of Three Children. At An Early Age, She Started Learning And Knowing Her Imagination. It Was Evident, There Was Always Something Inside Her, Waiting To Get Out. Formatter, And Cover Art Designer. Recently, Jennifer Has Also Given Way To Her Artistic Side. She Illustrates Children’s Books Sometimes, Too. Her Titles Include Mystik Legends, Devil's In The Details- Reboot, Fire, Ice & Blood-The Story Of Jake And Holly Book 1(Revenging The Evil Series), The Heart Of A Woman(Poetry), Squishy Face And The Moon (Children’s) And Some Free Reads On Her Website. Follow the entire Squishy Face Tour! Mother Daughter Book Reviews is pleased to be hosting a Book Blast showing off the new covers of the "Princess Madeline Trilogy" by Kirstin Pulioff. Can Madeline find freedom or does it come with too high a price? Title: The Battle for Princess Madeline (Princess Madeline Trilogy, Book #2) Author: Kirstin Pulioff Publication Date: May 21, 2013 Publisher: Caliburn Books Number of pages: 159 Recommended age: 10+ Summary: Princess Madeline rejected Prince Paulsen’s advances, but he’s not about to take it lying down. In the middle of Soron’s festival preparations, when his obsession jeopardizes the kingdom, mysterious figures from the kingdom’s past arrive. Can Madeline risk accepting their help or will their information about a family secret be too much for her to handle? Can Madeline trust anyone or will saving the kingdom come down to her own bravery? Title: The Dragon and Princess Madeline (Princess Madeline Trilogy, Book #3) Author: Kirstin Pulioff Publication Date: November 26, 2013 Publisher: Caliburn Books Number of pages: 135 Recommended age: 10+ Summary: Princess Madeline is ready to celebrate. With the foundation of her future in place, it seems nothing can hurt her. Then the return of a mysterious green dragon threatens her kingdom and king. Will this challenge prove to be too much for Princess Madeline and Prince Braden or will they find the answers they seek hidden in cryptic messages from the past? Can Madeline save her kingdom from the dragon or is the real danger something else? Kirstin Pulioff is a storyteller at heart. Born and raised in Southern California, she moved to the Pacific Northwest to follow her dreams and graduated from Oregon State University with a degree in Forest Management. Happily married and a mother of two, she lives in the foothills of Colorado. When she’s not writing an adventure, she’s busy living one. Welcome to my tour stop for Chronicles from Chateau Moines by Evelyne Holingue. This is a middle grade historical fiction. The tour runs March 2-13 with reviews, interviews, guest posts and excerpts. Check out the tour page for the full schedule. September 1970: Scott’s mother has recently died and his father gets the crazy idea to move his family from California to Normandy. Now Scott has to learn to live without his mom while adjusting to France. In his seventh grade class there is only Ibrahim who comes from another country. Scott doesn’t even want to play his guitar anymore. Why does his father think that life will be better so far from home? Scott has no idea that his arrival is also a challenge to Sylvie. While her best friend is excited to have an American boy at school, Sylvie cannot say one word to Scott. She can’t even write good songs in her notebook anymore. Why is life so different since Scott moved to Chateau Moines? Set against the backdrop of the Vietnam War protest era and told from the perspectives of twelve-year old Scott and Sylvie, this is a story about loss and friendship, music and peace, and also about secrets. Although this is a work of fiction, the cultural, social, and historical background of the early 1970s in France and the United States inspired the writing. At the end of the book the reader will find a list of the songs, the names of singers, and bands mentioned through the novel as well as some elements about fashion, immigration in France, the Vietnam War, and other cultural, social, and historical facts relevant to the period of time. I always try to capture a book by one word… what feeling does it leave me with when I’m done reading, or my overall impression. For me, this book is summed up as memorable. Starting from the cover, I was hooked. The simplistic illustration of a quaint village and the whimsical music notes around the title drew me in. Instantly I had an idea about what this book was going to be about as well as a desire to read it. After I got over the brilliant cover, the story itself had me hooked. I found the backdrop of the social and political scene of the 70's interesting. Having been born after that, a lot of what I know about that decade comes from my hearsay or textbooks. The author did a great job of showing us the conflicts and really giving this generation a new feel. I finished feeling like I knew that time better. There's something to say for that... Learning new cultures and history without knowing you're learning something is hard to do, and this author does it seamlessly. From the culture to the history, I felt like I was living there. Excellently done! Beyond the setting though… The voice in this novel is spot on. Some might say too spot on in some cases. ha! A twelve year old certainly goes through a roller coaster of emotions… and when the story is told from the perspective of two different twelve years olds, you’re in for a wild ride. The alternating point of views provided a depth to the characters I wasn’t expecting, and provides appeal to both genders. And the ending... All I can say is perfect! I recommend this book for middle grade readers, especially those who prefer realistic/contemporary fiction. I was born and raised in Normandy, France, where I spent most of my childhood reading. My first published piece of writing was a poem about a man spending Christmas behind bars. I was eleven years old and wasn’t paid for my work, but I was hooked. I studied French Literature at the Université de Caen and at the Sorbonne in Paris and worked in a publishing house before moving to California, following my husband. It was a challenging time in my life as I was leaving my own career, my family, my friends and my beloved Paris behind. But how could I say no to the dreams of the man I love? Readers enjoy escaping the familiar for the unknown. Being a foreigner is discovering the unknown day after day, not only for the time of a book. However, since most things in life come with a silver lining, I credit this move for giving me the opportunity to write. Through my words, I share my affection for my native and adoptive countries that I love equally. Welcome to my tour stop for The Burned Bridges Protocol by Abigail Borders. This is a YA science fiction published by Giant Squid Books. The tour runs March 2nd-13th with reviews, author interviews, guest posts and excerpts. Check out the tour page for the full schedule. Seven hundred years ago, disaster forced humanity to abandon Earth. Life on the colony ship New Edinburgh is all sixteen-year-old Lilliane, the best programmer in her year at the Institute, has ever known. A week ago, Lilliane woke up in a life-pod. Its destination? Earth itself. Because it's time to rebuild. It's up to Lilliane and the four other survivors of the New Edinburgh to reclaim humanity's ancestral home. Today, the life pod arrived at Lady Diana--the lunar holding station that was once the luxury holiday destination for Earth’s super-rich. It’s supposed to be a good place. A safe place. Not anymore. Today, Lady Di is a battlefield. Because while Lilliane and her friends thought they they were the only humans left, somebody else got to Lady Di first. And he will stop at nothing to keep Lilliane from ever getting to Earth. Thanks for joining me today Abigail. I'm excited to learn more about you and your new book. 1. Did you always want to be a writer? 2. What inspires you to write? My high school teacher once asked me what compels me to write. I told her that I write when I have something to say. To answer your question: life inspires me. Random scraps of conversation I overhear or am fortunate enough to be part of, things I see in the media things that make me think about my role in society and the universe overall - these inspire me to write. 3. Do you have a daily writing routine/schedule? 4. Any favorite authors and/or books that have inspired you in your career? My major influences include Terry Pratchett, Neil Gaiman and Mary Doria Russell. Hecuba’s first major scene (Chapter 12: Echoes) is an homage to THE BONDMAID, a novel by Catherine Lim. She is one of my major influences when I was a child. I admire Ms. Lim’s ability to blend the surreal and spiritual with actual, physical reality. She blurs the line between subjective and objective reality in her prose - subjective reality as the character sees it, versus observable, detached reality that other characters can see. As people, we can only really perceive reality from inside our own heads, from our perspectives. As readers, we are capable of seeing both. 5. Any advice for up and coming authors? LOL. Am I included in this list? But seriously, my first piece of advice is for folks to finish their manuscripts. I was told that 90% of people who start writing something never finish it. By completing their story, they’re already beating a huge chunk of the odds. Second, read the ‘rules’ as stated in the Turkey City Lexicon, then do a first round of edits. 6. And… because I am a total fan girl… what was it like working on BBP? It was fun, sometimes infuriating (Becca only came out to me in chapter 14: Gunfire of my first draft. Explains so much. And Lemon keeps ducking questions) but always highly rewarding. 1. What is the current Book you are promoting? released by MuseItUp publishing in Spring 2015. 2. I LOVE that you wrote for the middle grade audience. That transition between children’s and teens is very important. What made you choose this category for writing? BBP is written for the YA audience. CYRION, my first novel, is written for the MG audience. It was El Kiddo's summer vacation, he was bored out of his mind, and driving me up the wall. There was nothing good on tv, we've watched every movie and read every book in the house. I even resorted to reading the backs of our cereal boxes. I had to write a story to amuse him. Cyrion was initially structured like a choose-your-own-adventure type book. My original first draft had the MCs prematurely dying in number of increasingly amusing ways. But there was one story thread that kept on going and going, and this eventually became the novel. All of which is really just a long-winded way of saying: I write the genre I do by default because I initially wrote for an audience of one - my son. 3. I LOVED your characters. They are so unique. What might surprise some readers about them? The New Edinburgh characters in BBP are what we would consider gifted - they never would have been accepted into the Institute otherwise. Readers of this genre might also be surprised that the lead characters are female, not male. Lemon is an AI, and so technically, asexual. 1. Favorite Book? GOOD OMENS by Terry Pratchett and Neil Gaiman. 2. Favorite Author? At the moment: Stephen King. 3. Favorite Food? At the moment: curry puffs. Ingredients: half an onion, peeled and finely diced Two garlic cloves, peeled and finely diced. One potato - the biggest you can find, peeled, boiled and cubed. Meat from one rotisserie chicken. 3 tubes of crescent rolls - the kind you buy, roll out and bake. Curry powder, salt a pinch of sugar. 2) Add cooked, cubed potatoes, season with salt and the pinch of sugar. If you can taste the sugar, you’ve added too much. OMG... I am so hungry now! 5. Favorite Quote? Some like it hot? 6. Favorite Car/Truck? I’m afraid of big automobiles. So the smaller, the better. 7. Card Game or Board Game? Monopoly. 8. Beach or Mountains? Mountains. 12. Walk or Ride? Walk. 13. Early Bird or Night Owl? Night owl. incorporate different languages in to my books. There is some mandarin hanyu pinyin used in BBP. In Cyrion, I borrowed extensively from Indonesian and Malay when I picked names for my secondary characters. I am terrible at choosing names. I routinely ask El Kiddo to give me a name, any name. So many of my characters end up named after El Kiddo’s friends. A side note: if I see publications/writing competition leads, I tend to share them on my FB page. Hey, we writers have to stick together, no? and here's my Goodreads page. And where can people buy this AWESOME book? Folks in Singapore, BBP is also available in Kinokunia, although I’m not sure which branch. Sorry. Mother Daughter Book Reviews is very excited to be coordinating a Book Blast for a book that is taking reading in new directions. “Raising Sleeping Stones” by P.H.T. Bennet is a fantasy adventure whose story and app will help readers learn more about their own dreams. Read on for more information. You can purchase a copy of this innovative book/app for only 99 cents until April 2, 2015! Please note that the full functionalities of the app (e.g., music, hidden illustrations, and other interactive features) are not included in the e-book. The app is available through iTunes. When sisters Kiva and DeeDee Stone discover a mysterious plot that threatens them and everything they care about, they have to take a crash course in the ancient art of DreamKeeping to survive. As two elder Dream Keepers lead them up the Varruvyen river to the Eyle of Return, they show the girls how to gain dream powers greater than anything they had ever imagined. But can they become strong enough to face the monsters that haunt their dreams at night, strong enough to fight the enemies that draw nearer each day? The answer lies somewhere in the broken history of Orora Crona, the Valley of Dreams lost centuries ago, and whoever can piece it together first will rule for centuries to come. THE APP: Raising Sleeping Stones has been released as an electronic book in app form because it will do what dreams do by weaving together a story, music, illustrations, and interactive features to create a richer, more layered reading experience. STORY: The adventures of Kiva and DeeDee will become clearer and richer if you pause at the end of a chapter to think about the new clues you could use to start unlocking the mysteries of the earlier chapters ... or to predict what will happen in the next ones. DREAM TECHNIQUES: Kiva and DeeDee meet the DreamKeepers who teach them how to not only remember and explore their dreams, but also how to use them to develop incredible super powers including flying, changing shape, traveling to the past, living underwater, creating impossible buildings, looking into the future, and more. This may be a fantasy series, but most of the dream techniques the characters use in the book really work, so readers can actually get better at dreaming by following what the characters do. STORYSCORE: The music tells the same story at the same time as the words, but adds additional musical cues to help you figure out what's happening between the characters or who might be involved in the plot against them. The closer you listen to the music, the more secrets you can uncover. DYNAMIC ILLUSTRATIONS: The illustrations represent the main characters and events in the story; but, if you answer the questions at the end of certain chapters, you can unlock hidden layers to the illustrations, layers that show what lies beneath the surface of the story. TUMBLER & FACEBOOK: Readers will be able to share their ideas, questions, drawings, and/or their predictions about the book on Tumblr and will be able to find sound clips, albums of drawings, updates, and other extras on Facebook as well.